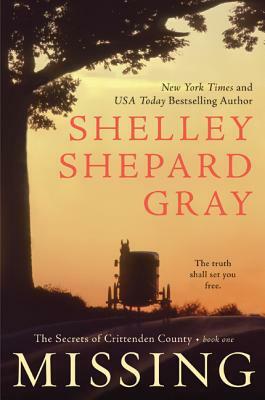 Shelley Shepard Gray, New York Times bestselling author of the Families of Honor, Seasons of Sugarcreek, and Sisters of the Heart series, returns with another page-turning romance set in Amish country. Gray’s eagerly anticipated fourth series, The Secrets of Crittenden County, begins with Missing, a poignant and compelling tale of an unlikely romance born of tragedy. When the shocking death of a young man rocks a quiet Amish community, the dead man’s former girlfriend and his “Englisher” best friend find themselves murder suspects. But they are strengthened by their faith, and by an unanticipated love that awakens. Readers of Christian romance and inspirational fiction are captivated by stories of love among the Amish, as proven by the phenomenal success of Beverly Lewis, Wanda Brunstetter, Cindy Woodsmall, and the previous novels of Shelly Shepard Gray. With The Secrets of Crittenden County this accomplished and much beloved storyteller reaches a new level.